Since 2008, MOOCs have been at the forefront of innovation in education and have inspired much discussion and controversy about the nature of “learning”. Many academics have been interested in delivering MOOCs as a part of their teaching. With current advancements in technology, MOOCs are becoming even more interactive with mobile technology. This paper examines the current situation of MOOCs and Mobile learning and looks at future research interests in this area. Open access – anyone can participate in an online course for free. Scalability – courses are designed to support an indefinite number of participants. The idea of MOOCs emerged from the movement of “open educational resources”. Dave Cornier coined the term MOOC in 2008 when George Siemens and Stephen Downes were leading the CCK08 (Connectivism and Connective Knowledge) course. The content of this course was available through RSS feeds and students could contribute to the course via collaborative tools such as blog posts or discussions. Pioneers of cMOOCs (mainly Siemens and Downes) argued that behaviorism, cognitivism, and constructivism failed to adequately explain learning as it happens in Web 2.0. They thought that the main idea of these theories that “Knowledge resides in the individual” is not consistent with the dynamism of knowledge in Web 2.0. Consequently, they articulated some psychological assumptions that formed what they argued to be a new learning theory, called connectivism. These psychological assumptions led them to propose the pedagogy that in 2008 gave birth to the first MOOC (Mackness, Mak, & Williams, 2010). Both cMOOCs and xMOOCs are open access courses given by many prestigious universities and they motivate people to continue learning at all phases of their lives regardless of age, place or time. There are many famous MOOCs which have millions of people as participants, including Coursera, edX, Udacity, Udemy, and Khan Academy. With the helps of these, the learners of 21st century benefit from the online and flexible learning opportunities of the new era. Apart from the advantages, MOOCs have some limitations. In MOOCs many learners, especially those who do not have high self-regulation skills, feel lost and without any direction and support in cMOOCs (Kop, 2011; Mackness et al., 2010). This is a sign that although at first glance Connectivism may seem appealing, it still has pedagogical deficiencies in that it cannot provide an adequate explanation of the learning phenomenon that is Web 2.0. Although MOOCs can be regarded as innovative in that they provide equal opportunity to higher education (Goksel-Canbek; Hargis, 2015), such easy access can ironically result in a large number of drop-outs from many courses. Class size and non-accredited courses are other limitations of MOOCs. Evaluating thousands of students is very challenging. People may feel that they are just numbers and not individual learners. Therefore, no matter how demanding and attractive the courses are, people may still drop out. The use of mobile learning is increasing as mobile technologies become more advanced, user-friendly and less expensive. To better understand the impact of mobile learning on online education, we need look at how mobile learning is defined. The term “mobile learning” or m-learning is used to describe the use of mobile technology to access learning. However, there is a lack of consensus as to its definition. Some researchers define it in terms of its technology, others in terms of its resources, while other focus on learner experience. Let’s begin by defining mobility since it is the key to the successful implementation and use of mobile learning technology. Mobility is about increasing a learner’s capability to physically move their own learning environment as they move (Barbosa & Geyer, 2005). One of the most significant features of mobile learning is the ability to increase the connection between information and content for learning. Kukulska-Hulme (2005) addressed mobile learning as “partly about learning and partly about the breakthroughs of mobile computing and the global marketing of mobile devices” (p.2). Yousef (2007) views mobile learning as the “provision of education and training on mobile devices: Personal Digital Assistants (PDAs), smart phones and mobile phones” (p. 117). Traxler (2007), on the other hand, suggested that defining mobile learning “purely in terms of its technologies and its hardware fails to examine the underlying learner experience and asks how mobile learning differs from other forms of education, especially other forms of e-Learning” (p. 4). Laouris and Eteoklous (2005) defined m-learning in terms of the “context with their interrelationships and interdependencies to different types of content and content delivery. Moving away from the actual devices to the learner as the one being mobile and not his/her devices!” (p. 6). Kukulska-Hulme and Traxler (2005) proposed the following categories of mobile learning. Technology-driven mobile learning – The use of technological innovation in an academic setting. Miniature but portable e-Learning – Mobile, wireless, and handheld technologies are used. Connected classroom learning – The use of the same technologies in classroom settings to support collaborative learning. Informal, personalized, situated mobile learning – The same technologies are enhanced with additional functionality. Mobile training/ performance support – The use of technologies to improve productivity and efficiency. 1) Student achievement comparisons – the use of mobile devices as study guides to improve scores through access to study material, game-based apps, and scaffolded activities to improve test scores. 2) Usability- the use of mobile learning to evaluate student perception. 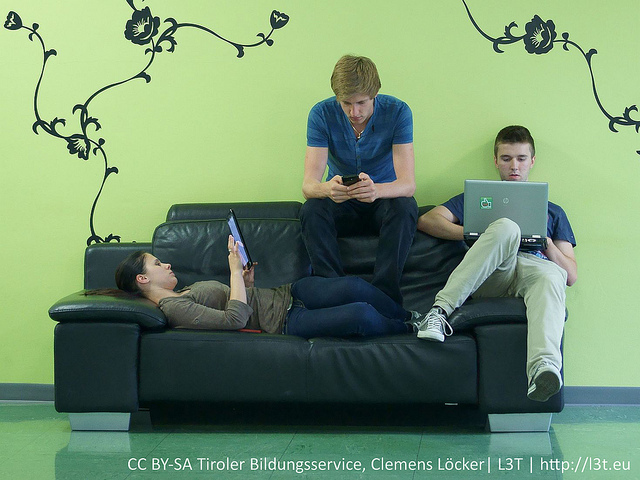 3) Student attitudes and perceptions – the use of students’ perceptions to develop appropriate pedagogical activities to support the contextual integration of mobile devices into blending learning environments (p. 47-49). MOOCs and Mobile Learning are two developments that are fundamentally reshaping the landscape of education. Since they are free courses delivered online to include an unlimited number of learners around the world, MOOCs have considerable potential to widen participation and collaboration in education via networked technologies (Terras & Ramsay, 2015, p. 472). Mobile technologies, on the other hand, provide ubiquitous access and connection possibilities. The ubiquity fostered by mobile technologies proposes an impact on the way courses are handled since they have the potential to act as “accelerators of social interaction” (Titova, 2014, p. 375). MOOCs and Mobile Learning combined, challenge conventional paradigms and hold even a greater promise to expand the scope of education to provide equal access to education for all. However, there are technical, educational and social challenges to providing equal access for all (Sharples, Kloos, Dimitriadis, Garlatti, & Specht, 2015). Sharples, et al. (2015) argues that the technical challenge is associated with enabling access to educational resources wherever and whenever individuals want to learn, not only immediately, but also at any time in their lives. The educational challenge lies in empowering learners to access materials, share knowledge and present their views, and the social challenge arises from the need to manage ‘learning from crowds’ within a massive, open and diverse online environment (Sharples, et al., 2015). According to Sharples et al (2015) mobile learning has the potential to address these issues since “mobile, wearable and ubiquitous technologies come with some additional affordances that may enable new forms of learning on MOOCs” (p. 1). According to Sharples, et al. (2015) the physical context can bring benefits to learning by providing an enhanced experience of ‘being there’. As learners, we are simultaneously embedded in a context as we move through locations across time, and we create context through our interactions with settings, artefacts and people (Sharples, et al., 2015). Contextual learning opportunities might be exploited by MOOCs since people engage with MOOCs from around the world, bringing their current situations and previous activities into the course as potential resources for discussion and shared understanding. This contextuality of learning, which has not yet been fully exploited, holds great promise for MOOCS. For example, a MOOC on meteorology could benefit from the activity of thousands of learners contributing weather data they gathered personally in their own locations. Therefore, learner-contributed contextual content provided via mobile technologies could be included in a MOOC to bring benefits from the engagement of thousands of learners (Sharples, et al., 2015). Finally, crowd learning is another pedagogy that benefits from mobile assisted MOOCs. Crowd learning describes the process of learning from the expertise and opinions of others, shared through online social spaces, websites, and activities (Sharples, et al., 2013). Through crowd learning activities data from many sources can be shared and compared, many cultural perspectives can be explored, and many people can commission learning activities. Technology-led to learner-led dimensions of crowd learning can direct MOOC activities. For a technology-led crowd learning experience, we can give the meteorology MOOC as an example. Learners collect geo-referenced data with their mobile devices which is automatically shared and plotted to create a weather map. A learner-led crowd learning experience might be in vocational education or continuing professional development. Learners can raise problems from the workplace using mobile devices to capture a critical incident, performance or product. These data, then, can become shared learning resources (Sharples, et al., 2015). In a MOOC environment, the three affordances of mobile devices (i.e. ubiquitous access, contextuality and crowd learning) can be harnessed to provide answers for some of the challenges present in MOOCs. Ubiquity, contextuality and crowd learning can be combined into a powerful educational mix whereby learners access learning materials according to their needs and interests, continue their learning across locations drawing upon context-specific resources, and share their developing knowledge with many other people (Sharples, et al., 2015). Both Mobile Learning and MOOCs serve to build communities for networking and collaboration, strengthening lifelong learning in the process. They also enhance interactions via social media technology and set up communicative dialogues (Waard, 2013). Mobile enhanced MOOCs result in learners using their mobile devices to access course locations. Waard (2013) states that mobile learners in a MOOC engage in more interactions and respond to more follow-up questions. Waard (2013) also asserts that mobile learning not only increases interaction amongst MOOC learners but also leads to increased interaction towards the resolution of a specific learner problem. Therefore, she suggests integrationing mobile micro-content into the personalized, collaborative learning environment of a MOOC. In order to improve the impact of mobile access on learner interactions in a MOOC, Waard also shares her experiences and suggests 20 strategies concerned with design, self-regulated learning, digital skills, content, human learning environments, and course activities. She finally concludes that “opening up an online course environment to better suit the learner and her or his mobile learning options, will no doubt result in an improved learning experience” (p. 99). Although most MOOCs are not designed for mobile learning at the moment, they are beginning to introduce some mobile elements such as browsing course titles, enrolling, and downloading content for later consumption (Nielson, 2014). Issues such as inadequate battery life, slow network connections, device usability and the cost of data service hinder the expansion of Mobile Enhanced MOOCs (Nielson, 2014). However, as these issues are being overcome with technological advances, we will see more MOOCs embracing more of the affordances of mobile learning. Future research should focus on the need to address privacy issues, access, learner motivation, engagement, social presence and security in the use of mobile devices to access different networks and technologies in order to increase access to education for all learners. Furthermore, research must look at Universal Design for Learning strategies to support all learners, and audiences. 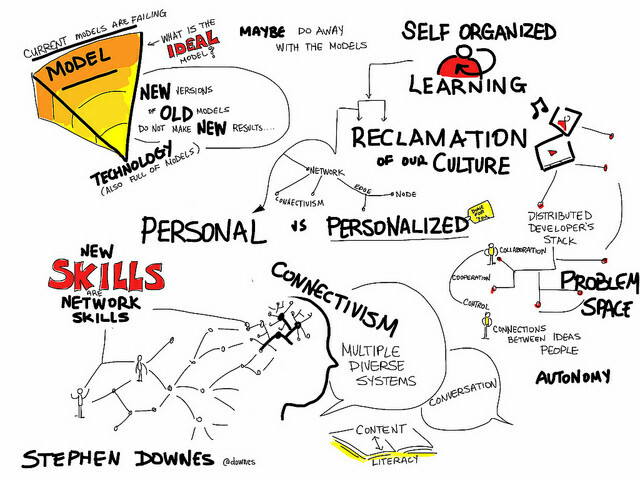 MOOCs and Mobile Learning are transforming education. Mobile and ubiquitous technologies offer opportunities to extend the reach and value of MOOCs (Sharples, et al., 2015). Immediate and persistent access to resources and easy sharing of contextual knowledge and experience would enable MOOCs to embrace more mobile learning schemes. Also, in addition to improving access to learning materials, these technologies have the potential to introduce new methods of context-sensitive, geo-located and crowd- sourced learning (Sharples, et al., 2015). However, in order to realize long term educational benefits, MOOCs and Mobile Learning paradigms must become pedagogically driven and embody high quality educational experiences (Terras & Ramsay, 2015, p. 475). The increased freedom and opportunities that technology affords necessitate a move away from instructor-driven toward learner-centered provision. It might be possible to address these challenges by unleashing the potential of mobile and ubiquitous technology for MOOCs and by providing coherent and enhanced learning experiences that build on these technologies (Sharples, et al., 2015).